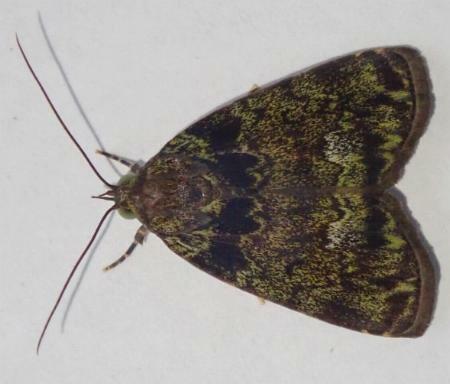 The adult moth of this species has forewings that are greenish-grey-brown, each with variable dark markings including two pale-edged dark transverse zigzag lines. The hindwings are yellow shading to brown at the margins. The wingspan is about 3.5 cms. Volume 47 (1936), p. 40. Volume 10 (1903), p. 125, No. 12.